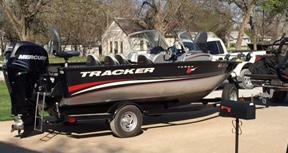 1987 Bass Tracker Tournament 1800FS DEAL PENDING! 1987 Bass Tracker Tournament 1800FS 1987 Bass Tracker 1800 Tournament FS fiberglass Bass boat with Mercury 115hp two stroke outboard motor and single axle trailer. 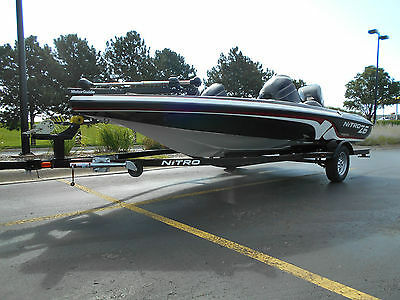 2011 NITRO Z6 18' 115HP MERCURY BANK REPO, 1.6 HOURS ON THIS BOAT LIKE NEW!!!!!! MID-AMERCIA MOTORS 2401 FAIRFIELD STREET LINCOLN NEBRASKA,68521 OFFICE/FAX 402-477-4426 ROD'S CELL 402-560-0766 ANYTIME FOR SALE BANK REPO 2011 NITRO Z6 HERE IS THE STORY THIS BOUGHT WAS SOLD NEW IN WESTERN IOWA. THIS BOAT MAY HAVE ONLY BEEN ON THE WATER ONCE AND THEN PUT AWAY AND A FEW PAYMENTS MADE AND THEN NO PAYMENTS AND THE BANK HAS BEEN LOOKING FOR THIS BOAT FOR SOME TIME. NOW IT IS TIME TO SELL TO A NEW OWNER. THEY HAD THE BOAT CHECKED OUT, RUNS AND EVERYTHING IN IS GREAT RUNNING ORDER. THE BOAT TECHNICIAN HOOKED UP HIS QUICK SILVER DIGITAL DIAGNOSTIC TOOL AND CAME UP WITH 1.6 RUN HOURS ON THE ENGINE. 102 BREAK IN LEFT. THIS IS LIKE A NEW BOAT!!!! 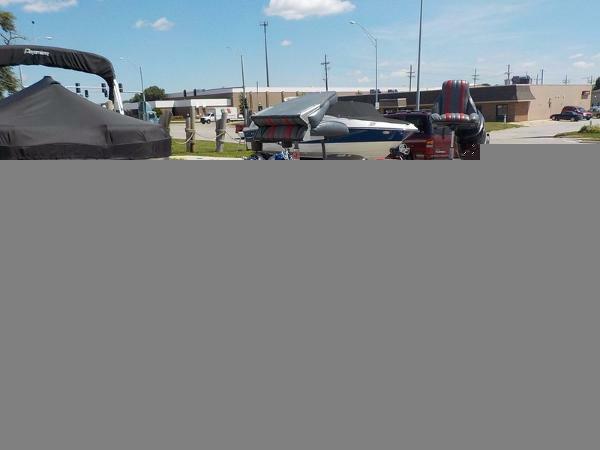 PLEASE LOOK AT THE PICTURES AND IF YOU HAVE ANY QUESTIONS PLEASE CALL ROD 402-560-0766 THIS IS A FIXED BUY IT NOW PRICE. THE BANK IS FIRM ON THERE PRICE. THANKS FOR LOOKING AND HAVE A GREAT DAY!! !